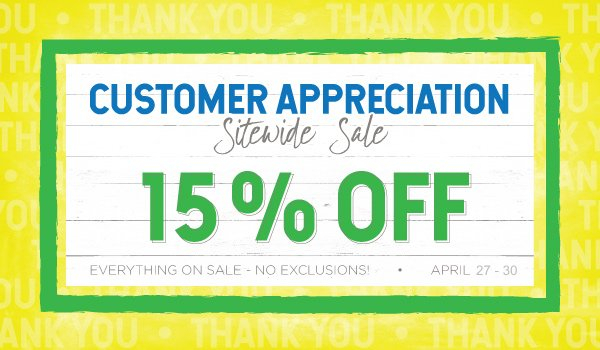 Save 15% on everything because we want to show you our appreciation. Take advantage soon, the sale ends Monday! Everything in the store is up for grabs! What’s this about a free gift? Free Magazine With Your Order! We have long discontinued our magazines, and have many in stock, and two boxes that we just found packed away. With your order, take a magazine free on us (U.S. orders only due to postage costs)! 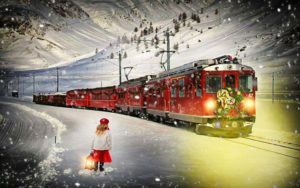 Just leave us a note in the order comment section, and we will include it with your order. Do not add the magazine to your cart, or you will be charged. The magazine inventory will be updated manually, not automatically as with normal orders, so some may be sold out before we can update the website. So, in the comment section leave a 1st and 2nd magazine choice (backup choice) incase your first choice is sold out. Free magazine while supplies last. Visit our online store to see our large selection of yarns, books, and accessories to choose from. Shop early for the best selection. Our clearance department is full of savings. These are discontinued products, odd balls, and items we will no longer be stocking. We just added another 50 or so items to our clearance department, and lowered the price on many products already on clearance. We also have many vintage magazines, the prices of which were lowered this week. The discounts in our clearance department are up to 65% off, with most around 40% off the manufacturer’s suggested retail prices. There are more than 400 clearance products to choose from. If you are ready to shop, visit our clearance department now! 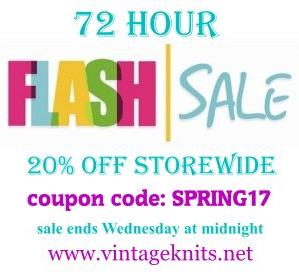 Save 25% off at Vintage Knits Wool Shoppe. $50.00 minimum order required for discount. The sale ends 11/27 at midnight. Memorial Day Event Starts Now! Take an extra – 20% off everything! Use coupon code: MEMDAY during checkout. Hurry, the sale ends May 31st at 12 midnight (eastern time). For additional details see our flyer. Visit our online store to see all of the bargains, and make your purchase. Blink and you will miss it! 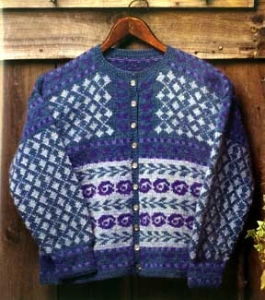 Everything is on sale at Vintage Knits Wool Shoppe! Sale ends April 12, 2017 at midnight (eastern time). Coupon is valid on every item in the store. Coupon applies to new orders only. All sales are final, no refunds or exchanges on coupon sales. Make yarn your everyday luxury. ring in the new year with yarn! 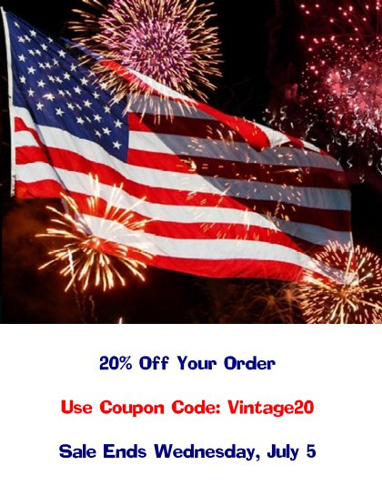 EXTRA 20% OFF YOUR ORDER! Knit this lovely cardigan in Mountain Mohair yarn. This is a very soft worsted weight yarn from Green Mountain Spinnery. The pattern has directions for several sizes. There is enough yarn for one cardigan in finished chest measurement: 40, 44, or 48 inches. The kit sells for $196.00, and can be purchased at our online store. 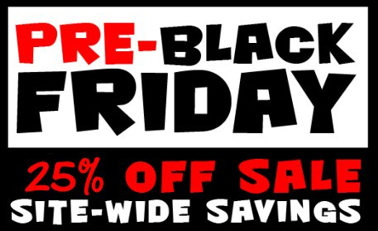 Why wait for black Friday, you can save Now! There’s NO exceptions – Everything in the store is up for grabs! End of the Month Savings!